Click HERE to see Elizabeth's Sunday, 3pm presentation on Luminous Vision. You were meant to thrive. You have all the resources to live an amazing, magical, joyful, and abundant life. Extraordinary Living is designed to awaken you from the dream of separation and to open the heart to the infinite possibilities that await you. Through teachings, experiential exercises and meditations you will receive the tools needed to tap into the Universal energy and shift your perceptions to truly realize freedom. Learn to work with the power of intention and create your best life now. Wake up from your conditioning as you begin to access your creative powers and empower yourself as you open tap into your intuition and realize your dreams. 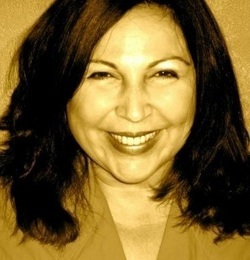 Elizabeth Longo, an Ordained Unity Minister currently serving at Unity on the Bay in Miami, Florida. She is in charge of the Education, Family Ministry, Prayer, Pastoral Care, and Small Groups. She is a Certified yoga instructor, Oneness Blessing giver & facilitates retreats and workshops. Her love of life and adventure has taken her to India four times and to other sacred places throughout the world. Elizabeth was a film, television, and stage actress, until she took off the masks of illusions for the love of unshakable freedom. She is passionate about evolutionary spirituality and the awakening of humanity.